Why do we ride mountain bikes..? 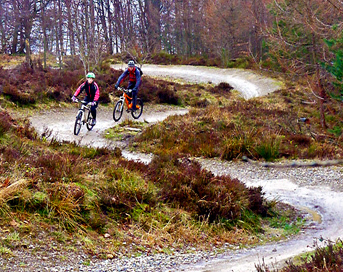 Mountain biking offers different things to different people and at different times. We started Chasing Trails in 2008 to help fellow riders get the most from their mountain biking. People often comment that a day of MTB skills coaching has added more to their riding enjoyment than any other ‘upgrade’. We offer a range of instruction including MTB skills coaching, bike maintenance tuition and wheel building courses. 1:1 or 1:2 is most in demand and Chasing Trails has come to specialize in this format over the years. Mountain bikers of all ages and abilities have made big improvements to their riding skill with our style of coaching. Have a quick look at the comments pages for feedback from different perspectives. As well as individual and 1:2 tuition we also put on courses for groups as required. We’ll provide you with the help you need in the form that best suits you or your group. 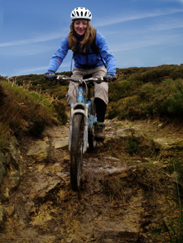 We offer 1:1 and group guided mountain biking on the North York Moors. The Moors have over 500 miles of bridleway, full of character with routes to suit various abilities and fitness levels. We run guided off road tours like the English off road coast to coast; challenging and rewarding in equal measure! Meet new minded people and experience new trails, all without needing to plan routes or stare at a map the whole time!